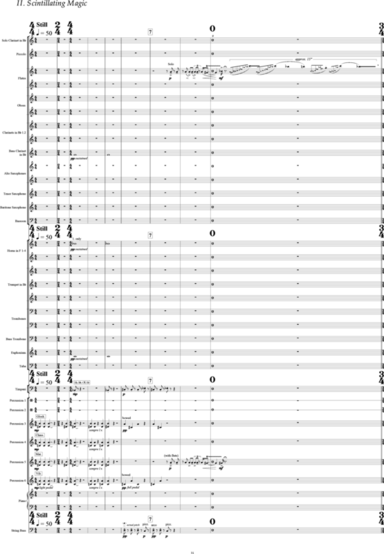 A Candle in the Dark – Concerto for Clarinet and Wind Ensemble is cast in three movements. 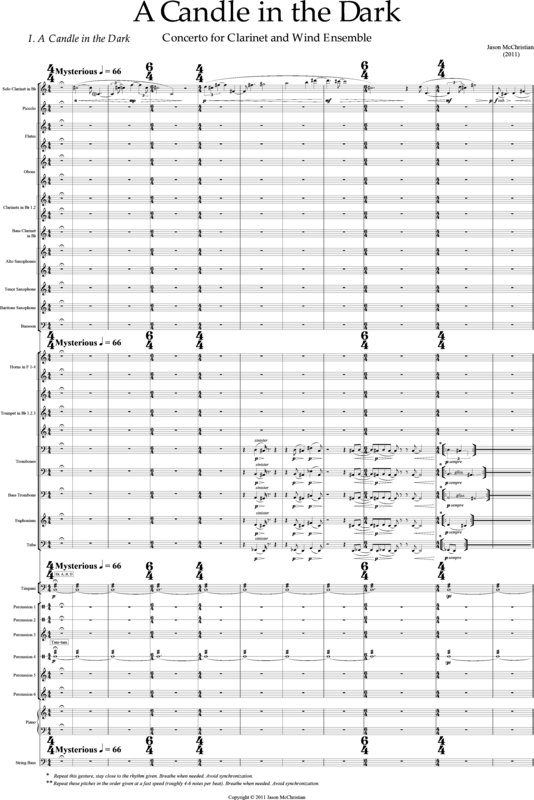 The work is an exploration of the qualities of the concerto form with its inherent narrative of a single solo protagonist and its dialogue with a larger ensemble. In particular, I was interested in discovering the virtuoso capabilities in the agility and expressiveness of the solo clarinet and, in general, exploring the possibilities of the wind ensemble. The title, added after the composition was finished, quotes Carl Sagan’s description of the use of reason and skepticism in a world preoccupied with superstition, with the solo clarinet representing the solitary candle. 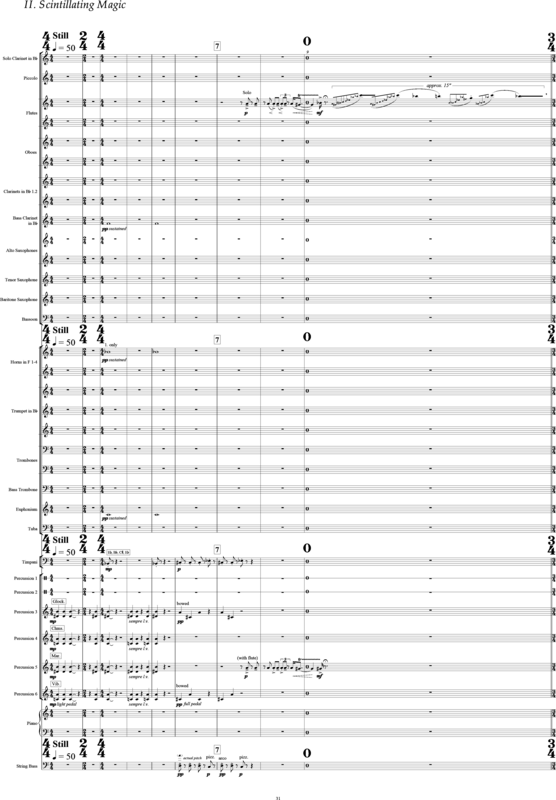 The material found in the first movement of the work, A Candle in the Dark, is organized as a theme and variations built on a main theme of leaping ninths, and a sonority called the “progenitor” chord, variants of which appear in each movement and represent the “dark” referenced in the title. The second movement, Scintillating Magic, is cast in two major sections, a combination of fast interweaving lines, lilting dance-like themes, and a gentle lullaby. 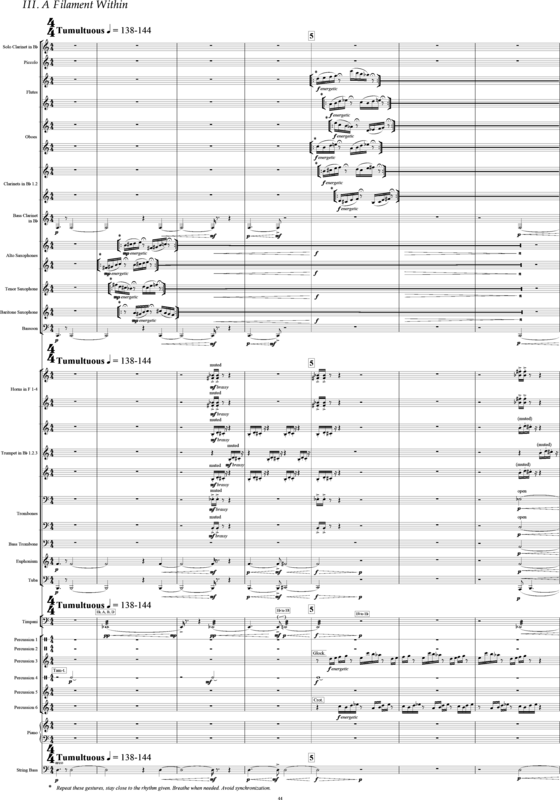 The final movement, A Filament Within, states a third variant of the “progenitor” chord and is constructed as the developmental revelation of a new syncopated theme amid joyous fanfares in a celebratory atmosphere that brings the work to a triumphant conclusion.